G7® is a Method defined by the Print Properties and Colorimetrics Working Group of IDEAlliance. Initially G7 was developed by the IDEAlliance GRACoL Working Group. But as adoption of G7 grew, it became clear that the application of this method that enables printers to reproduce a similar visual appearance across printing types and substrates should be addressed by a group with reach beyond the focus on sheetfed offset printing that is unique to the GRACoL working group. 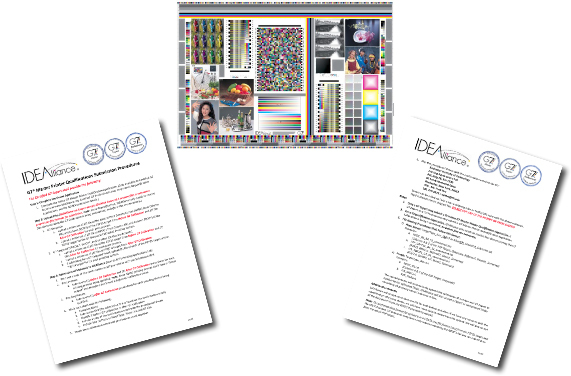 Today, through the PPC Working Group, experts from across the spectrum of printing disciplines contribute to this important IDEAlliance Methodology. G7® specifies the components of an image that define a similar “visual appearance” to the human eye. * Defines a colormetric definition for gray balance. shadows which are the factors that determine likeness of the visual appearance of an image. Please report any errors on this site to our WebMaster.